Doc has taught me a lot about reading charts and the technicals when looking at and chart. Today he shares some of his high level theories on how to simplify what the charts can tell us. We also get an update on the overall trend for the gold sector. 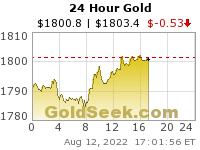 Doc if we get pullback in gold do you see 1250 to 1280 area or you sticking with 1200 to 1220. What charts telling you now that gold has pop higher instead of moving side ways to down. Doc, BTI has gapped up the last 2 days. IMBBY and MO are both up $4.5 from their bottoms. It looks like the tobaccos may have bottomed. Do you still think MO is going to 40 or even 30? MO announces earnings tomorrow which could move the price. However, the relative outperformance of the mining shares versus the S&P since November is catching a lot of institutional eyes, too. As you can see below, the HUI mining share index is up 11.3% over the past three months. Compare this to the S&P 500, which is off 0.6%. However, 99.8% of the institutional and hedge funds managers in the world DO NOT understand the historical fact of gold price management that dates back to the 1950s. Therefore, don’t give me this stuff about ” technical signals don’t matter in a manipulated market”. They DO matter—precisely for the reason mentioned above. Of the 99.8% of money managers who don’t understand how the gold market truly operates, a significant number will decide to allocate cash to gold, silver and the mining shares this year, and they will do so for a number of geopolitical and economic reasons. They will also do it for the additional “alpha” they think they can add by allocating funds to a sector that is well-positioned technically. pretty pathetic action in my silver miners today–AG, AXU, EXK and ISVLF. ISVLF is actually down over 5% today. Wouldn’t at all be shocked to see them retest their November lows at this point. 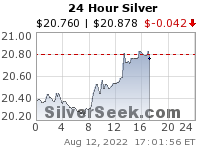 Silver will drop a nickel and they will be down 5-10%. Looking at something like HL, it looks like it will head back down near its lows over the next few weeks, given its failed attempt to break above the cloud on the daily chart. At a minimum, I expect the silver miners to underperform gold miners through February and into spring. I don’t think they will do much of anything until May by the looks of it. I wouldn’t take a position in any of them unless you want loads of frustration between now and whenever. clawed a little higher into the close. Still, not very confident of a continued thrust higher. Whatever. Hey, where is Rick Ackerman? ?